Arizona was the 48th state of the United States, attaining statehood in 1912, and just 3 years later, a state-wide prohibition was in effect. As if brewing in the desert wasn’t hard enough. Ed Sipos explains in his book Brewing Arizona, that early Arizona brewers had to overcome many obstacles, such as poor water quality, lack of proper ingredients and temperatures not conducive to brewing. Now add to that, a fast growing temperance movement and it is easy to see that the early Arizona brewers were fighting an up hill battle from the start. Luckily for us, there were people in Arizona that persisted and fought the good fight to keep brewing alive. While none of those early brewers are around today, there are a few micro-brewers operating in the state today, and we were fortunate to get our hands on some. 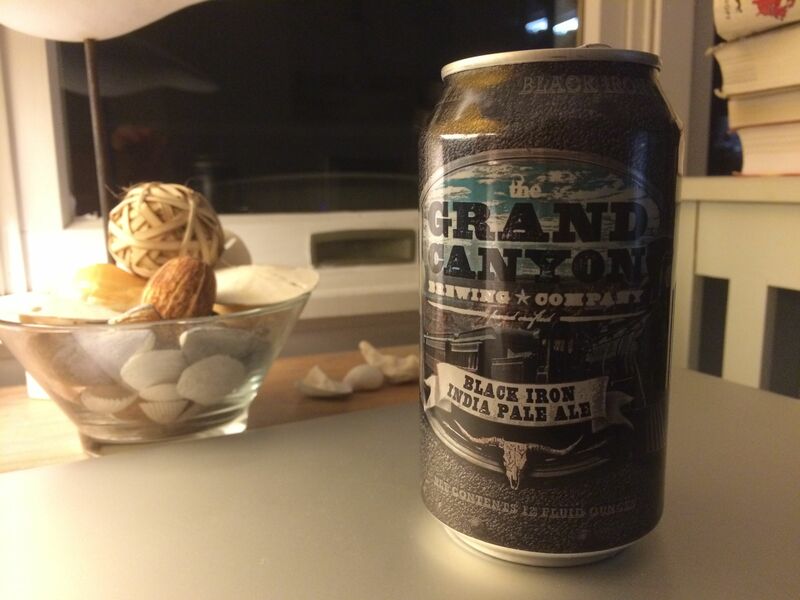 The first, and arguably only beer we had from Arizona was from Grand Canyon Brewing, located on historic Route 66 in Williams Arizona. Grand Canyon lists 13 different styles of beer in their stable, including a Pale Ale that features the cattle skull that symbolizes Arizona on its tap handle. The beer we had from Grand Canyon was, you guessed it, an IPA, making it the 45th IPA of this project — Almost 1 IPA per state! The Black Iron IPA was another sweet IPA. Starting from the initial pour, the sweetness was apparent, and that sweetness carried through in the flavor, giving it a more malty, than hoppy taste. Not my favorite trait in an IPA. always an after thought. This beer is such a novelty, that I can not even find a reference to it online. The novelty is that the labels, which contain photos of 1980s era women with big hair and lots of makeup, have a opaque scratch-off over their breasts. This beer was, hands down the worst beer of this project, and after one sip, quickly found itself unscratched in the recycling bin. That concludes Arizona. Next up, we head northward to the state of Alaska.